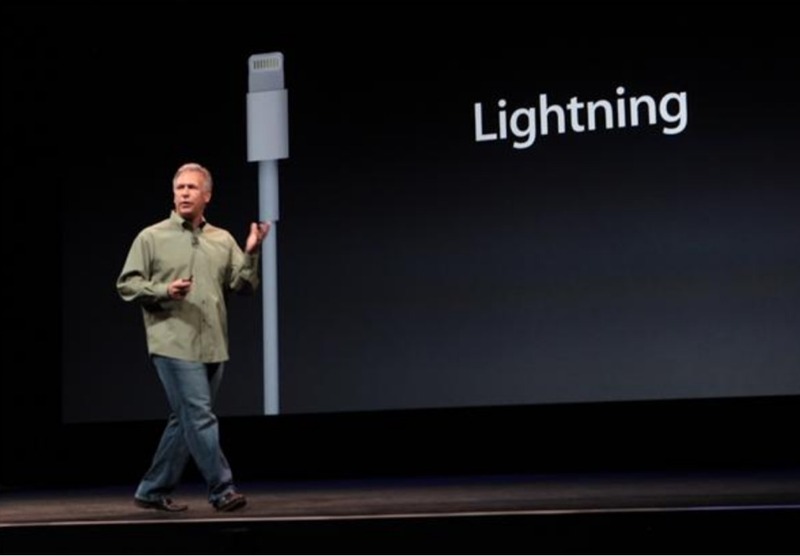 As we already unveiled prior to Apple iPhone 5 media event taking place right now, Apple today took the wraps off its new smaller dock connector and cables with new “Lightning” branding to go hand in hand with its Thunderbolt moniker. Apple confirmed today the new reversible connector includes an “all-digital, 8-signal design”, adaptive interface, and improved durability. 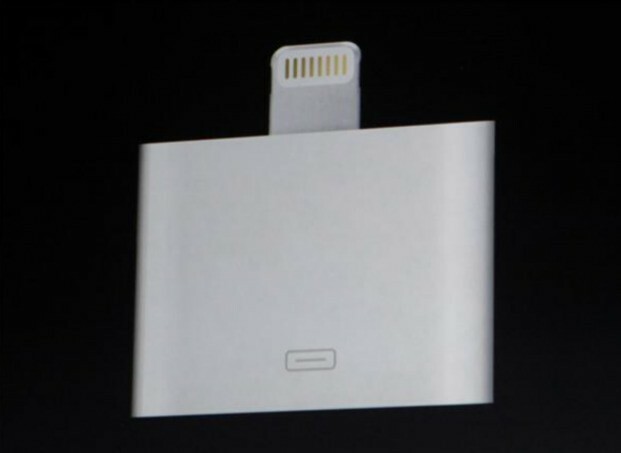 It is also 80 percent smaller than the old connector. As previously rumored, Apple also briefly showed off a 30-pin adapter for the new dock connector but did not go into details.